a. By publication in the required newspapers of the date, time and location of this meeting more than 48 hours in advance. b. By posting advance written notice on the official Bulletin Board in the Municipal Building. c. By filing advance written notice with the Township Clerk for the purpose of Public inspection. D. Breeden – Explained that this meeting is conducted to adopt a Shared Service agreement for the Construction Code Department between Barnegat and Waretown. This sharing of service makes sense from a managerial perspective for the oversight of the UCC inspectors to be under one person. 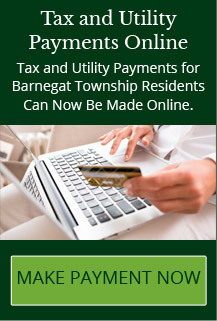 Payment will be made for hours actually worked, the Township of Waretown will reimburse the Township of Barnegat. James Goldstein – questioned the rate of pay for the UCC official in relation to the shared service agreement. Carl Chadwick – 145 Brook Street, Barnegat – questioned if the age of the Waretown official is an issue. Also, where the funds for payment will come from. Elaine Taylor – 147 Spruce Circle North, Barnegat: I have trouble that you are binding me to an agreement that I have no documentation on, as I will be sworn into office next week. A. Cirulli: explained that this was in the works for many months, due to the storm the finalization was delayed. J. Lachawiec: explained that this agreement may be cancelled by either party in writing. Jake Taylor – 106 Newark Road, Barnegat: concerned with the amount of work for the inspectors involved. What is the benefit to Barnegat? Admin: explained that the Twp of Barnegat will generate revenue to offset the Construction Official’s costs. I would like to see the agreement; if it benefits me I am in favor it. Phil Checcia – 12 Windward Drive, Barnegat: How long did the Waretown official work for you? Mayor: Six years in different positions. This is not the time of year to do this to this man. Frank Pecci – 11 Hemlock Drive, Barnegat: why is it necessary to bring the two towns together for this? Chris, 26 Longboat Avenue: What is the benefit of bringing this forward now versus in five days, after the New Year? How much did either Township save by doing this agreement? Admin: Savings for both towns approximately $30-50,000.00. Resolution authorizing execution of a Shared Services Agreement for the sharing of Construction Official with the Township of Ocean. Resolution authorizing execution of a Shared Services Agreement for the sharing of Construction Official with the Township of Barnegat. Discussions on frequency of recycling pick up schedule. Len Morano – proposes weekly pick-up of recycling. D. Breeden: met with incoming committee members to discuss with Public Works Supervisor relating to operations, and agreed to review impact of weekly recycling on the Township. Al Bille – this would be a costly and unnecessary move, we have bins at the back of Town Hall for residents and is working very well, we can not afford this move. Linda Kropf – The community of Mirage has given much to the Township. This adult community serves as a model to the Township, and the gates of Mirage are not only golden, they are diamond studded. Arthur Sheiken – 16 Turtle Creek Run: Mirage is a great contributor to the Township; we have mutual respect with the administration, and do not feel why Mr. Morano is being difficult towards the residents of Mirage. Pat Pipa – 8 Wavecrest Court: I find Mr. Morano’s comment about the golden gates of Mirage to be deplorable and offensive. He shows a clear bias towards all our adult communities and asks the new committee to reconsider nomination for Mayor of this Township. I have heard over and over from my democratic friends that the overspending is out of control, and now Mr. Morano proposes more spending with the recycling issues. Again I ask the incoming committee members to heavily consider your nomination for Mayor of this community. Alice Heinz – 9 Castle Lake Ct: the Mirage Community gives the Township alone $1.7 million dollars every year. We moved here because we like it here, the Women’s Club gave $3,000.00 to the Food Pantry. We volunteer and help this community for the donations and taxes we pay. Phil Checcia – 12 Windward Drive: This town has been divided politically since the developments were built. Art (Sheiken) came to the “Wawa Boys” to get on the school board. They are saying the other “un-gated” senior communities of this town do not contribute to the town. We gave more out of pocket before they (developments) were built. Corinne Spiranza – Heritage Point: We are not “you people” we are part of Barnegat; we are supposed to be one community. LM: The reference was to the people that knocked down the 10-acre lot development for a first aid building, it was a general reference. Jack Leonardo – 1 Castle Lake Court: I have had the liberty of being on the planning board since 2000. I have been supported by both parties, and have never voted on anything that pertained to Mirage, I always did what was best for Barnegat. K. Hovnanian was to do the addition to the fire house. This topic never came to the residents to consider. LM: I apologize for what was said the committee at that time was lead to believe the residents rejected the building. Charles Giles – 564 East Bay Avenue: What was said offended me as well, as a taxpayer. I think you need to stand up and apologize as our incoming Mayor. LM: I will still work to unite everybody together; I do apologize for the misunderstanding.